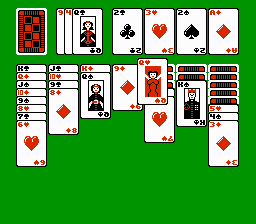 NES Solitaire in 00:42.8 by FractalFusion. This run improves the previous one by ~4.5 seconds, which was done on the same layout, thanks to movement optimisation. Please read the submission comments for more details.